Sunkissed sparker i gang høsten med en av de virkelig store kanonene fra den andre siden av dammen. Dennis Ferrer er vel normalt et par skostørelser over kapasiteten på Blå. Men sånt har vel aldri stoppet oss i dumpa! I allefall ikke før all betongen ligger og dvasker i elva. For få steder er vel bedre egnet til Ferrer's leksjon i vaskeekte New York House enn et kokende Sunkissed på Blå. Dennis Ferrer har produsert hits og klassikere over et bredt lærret siden midten av 90'tallet. Samtidig har han en klar signatur, som bærer med seg det beste fra amerikanske deep house, techno og soul. Man kjenner igjen Ferrer på de sylkarpe og solide produksjonene, men også de tydelige røttene i den spirituelle og dype New York tradisjonen. Her leker jazz, latin, soul og disco mellom stortromene som hamrer i takt med storbyens puls. Ikke minst kommer dette til uttrykk i Ferrers egen etikett, Objektivity, som jo også ga ut Henrik Schwarz hærlige miks av Anu Bruun's 'Headphone Silence'. På Sunkissed er det gjerne Ferrer i techno modus eller det dype hjørnet som blir lagt på 1210"ene, men han er jo utvilsomt best kjent for de store hitlåtene han har produsert de siste årene. Suksessen har til dels plassert Ferrer i selskap med langt mer kommersielle artister, men selv er han tydelig på at han er en deephouse artist. Mixen han gjorde for Resident Advisor for noen uker siden viser da også en dj som ikke velger det enkle eller åpenbare. I et forum som ellers kan bite godt fra seg, fikk Ferrer en lang tråd med tomler opp. Vi ser fram til forstettelsen i dumpa! g-HA & Olanskii varmer opp huset grundig som vanlig. De to har usedvanlig mye snax i baggen/schtikken om dagen. Olanskii klarer knapt skue ut over pulten, som selv for denne karen er uvanlig dypt begravd i rykende fersk vinyl. Hos g-HA er det tynnere med sort gull,men desto mer binær glede og god gammaldags spillekåthet. Men før knoll og tott er det Rasmussen som tar første tørn på roret. Sykkelrepartør Rasmussen er til vanlig å finne i det dype men drivende hjørnet, gjerne med en eller to egenproduksjoner som for lengst burde vært trykke på 12 tommer. Right place, right time. It’s an old cliché, but it’s one that’s been the definition of Dennis Ferrer’s musical career. Just as the dance music world was heading into the world of afro-centric house, Ferrer was there. And then, when it began to embrace the mix of tech and soul, Ferrer was there again, leading the way with his impeccable productions. As Ferrer goes, it seems, so does electronic music. And, as someone who’s never content to do the same thing twice, it’s clear that he’ll be staying on top for years to come. Ferrer burst back into the consciousness of most dance music heads with the release of “Sandcastles,” (Ibadan) his collaboration with Jerome Sydenham in 2003. A throwback to his techno roots as producer of the first ever release on Synewave in 1994 and mixed with a healthy dose of soul, the track was a massive hit for the duo. But, to his credit, Ferrer didn’t simply repeat the formula afterwards. Instead, whether it’s been the gospel house sounds of his remix of Blaze & Barbara Tucker’s “Most Precious Love” (Defected) or the deeper-than-deep rework of Fish Go Deep’s “The Cure & The Cause,” (Defected) Ferrer has continued to push a variety of genres all at once. It’s clear that Ferrer isn’t content to rest on his laurels: he’s too busy dreaming up new ways to shock and delight audiences. Of course, we do say “back” into the consciousness of dance music heads because Ferrer has been around for far longer than ‘Sandcastles’. 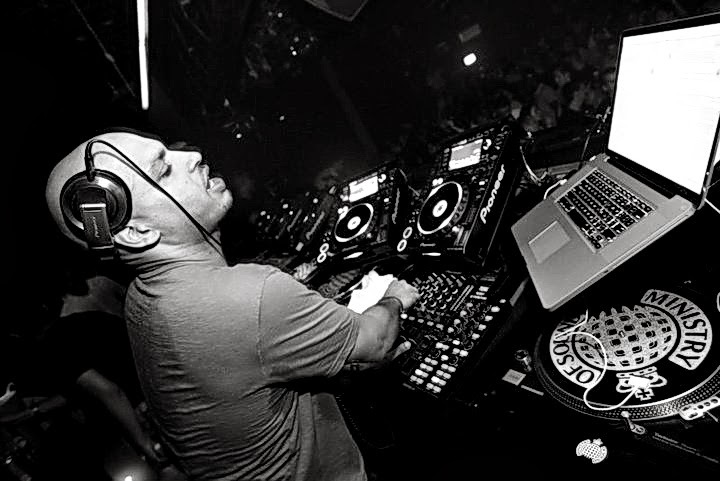 He was crafting techno records in the mid-’90s as Morph and then had success in the Afro and gospel house scenes with releases via his Sfere label, an imprint he began alongside Kerri Chandler. “Sandcastles” merely marked his return to techno phase – and broadened his appeal to a new audience largely unfamiliar with his past work. But it’s this past work that gives his new productions such resonance: unlike many of this house peers, Ferrer’s techno experience has given him an edge that you can hear in his recent work. “Son of Raw,” (Ibadan) “Church Lady,” (Defected) “Underground Is My Home,” (King Street Sounds) and “Touched the Sky” (King Street Sounds) have all been huge dancefloor anthems and all show a different side of the Ferrer personality. As he’s said in interviews, “It doesn’t matter if it’s gospel house, Brazilian house, jazz house, or whatever. As long as it’s got soul and moves people, that’s all that matters.” Collected on his full-length The World As I See It (King Street Sounds), it’s a sound that reached many different audiences. “Transitions” and “P2DaJ” were huge in the techno world, while the beautiful ode “How Do I Let Go” was a hit in the gospel house scene, the success of which has become bittersweet considering the recent passing of its vocalist, KT Brooks, one of Ferrer’s favorite vocal collaborators. Ferrer has brought that anything goes approach to his newest venture, Objektivity. The new imprint has thus far focused itself on vocals, featuring often unlikely turns from indie heroes like Ane Brun and Télépopmusik. Low slung and deep, Objektivity is a cutting-edge label in touch with its time, putting a uniquely American spin on the deep house revival that is currently making waves in Europe. And with releases from the likes of the young phenoms the Martinez Brothers (who are going from strength to strength) and classic New York house heads like Timmy Regisford and Quentin Harris, it’s obvious that Ferrer doesn’t regard the label as a vanity project. Objektivity is a living, breathing thing – one that’s set to drop bombs on the dancefloor for years to come. Ferrer released the piano driven summer smash “Sinfonia Della Notte” on Strictly Rhythm in May 2009 which fans and press alike bugged over. DJ Mag said the single was leading the charge for a piano chord driven house music revival but we know Ferrer is just flexing one of his many skills. 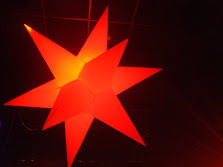 “The Red Room”, 2010, marked Ferrer’s follow up to “Hey Hey”, has received accolades from the top DJs around the world. The unique vocal was cut during a wild studio session where the vocalist repeated one of the lines “Welcome To The Red Room Honey” which after some editing became the hook of the tune. Remixed by the Detroit prodigy Kyle Hall and “tech dubbed” by The Martinez Brothers & Jerome Sydenham, The Red Room became yet another modern classic. Next up: “No Difference”, a 2011 collaboration with Andre Hommen, yet another young talent, discovered by Ferrer. Deceptively simple, “No Difference” features retro drum pattern and repetitive vocal lines while also incorporating a warm, synth-fuelled groove. It’s the smattering of piano keys and the the jacking groove that truly bring the funk though, ensuring Ferrer’s latest is draped in vintage Objektivity characteristics. Dennis Ferrer isn’t known as a prolific remixer, but when he does turn his hand to something you can be sure that the result will be worth the wait. His November 2012 remix of “Underground” has been hammered across Ibiza all summer long, and for good reason. Developing the chords of the original beautifully and adding a devastatingly infectious organ lead-line, Ferrer builds and builds before unleashing huge, pounding keys for a truly breathless finale, shooting the track straight to Nr. 1 on the Beatport Deep House chart. As always with Ferrer the best is yet to come. With a deep knowledge of the past and a constant push for the future, Ferrer remains one of the true greats of house music – a leader and innovator whose enjoying the buzz around him but keeping on pushing the limits. Stay tuned.